There’s a good chance that you’ve been to a wedding with a photo booth — and maybe some ridiculous and wild props to go along with it. It can be a lot of fun to cram in and pull a few faces for the camera, especially after the celebration has really gotten going. But the truth is, photo booths offer so much more than just, well, photos. Here are 4 great Reasons to Add Photo Booths to Your Wedding. 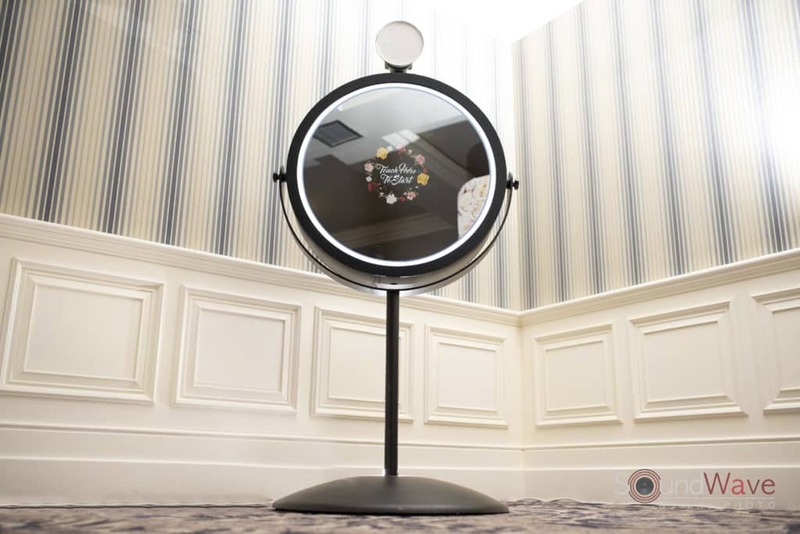 Photo booths have changed a lot over the years and now they not only provide entertainment but our latest “Beauty Mirror” and “Selfie Mirror” booths are a great way to bring the whole event together. 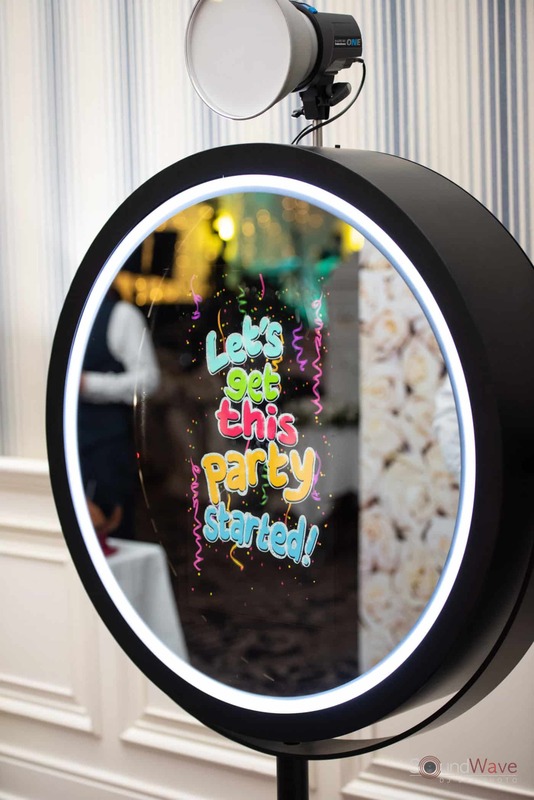 From getting your guests to leave their personal touch to creating great inexpensive favors from the printouts, here are 4 ways a photo booth can totally elevate your wedding experience. It’s an open secret: getting guests to sign the guestbook is difficult. But it’s totally natural to want a keepsake from your wedding. A photo booth is a great way to totally transform the guestbook experience and make it fun enough that people actually use it. Every photo strip can have two copies — one for your guests to take home and one to paste in the guest book. They’re much more likely to write in the guestbook if it’s part of the whole photo booth experience — and it feels far more personal. Not sure what to give your guests? No problem. While a photo strip may not seem like the most exciting gift, you can combine the printouts and a nice set frame and some personal touches — and suddenly you have wedding favors! There are so many reasons why photos make a great keepsake. Rather than some chocolates or a little bottle of gin, photos are something that your guests will actually keep and enjoy. And for your family, wedding party, or anyone you want to make a favor for that’s truly special, you can scan the photos of them and print it on canvas or wood for a wonderful thank you gift. It only takes a few minutes to turn a great photo into a family treasure. If you want every part of your day to really feel like you, then using photo booths to brand your event is a great option. By customizing the background and theme of the photos, creating personal hashtags, and even choosing the props, the photo booth is a great way to bring your theme together. 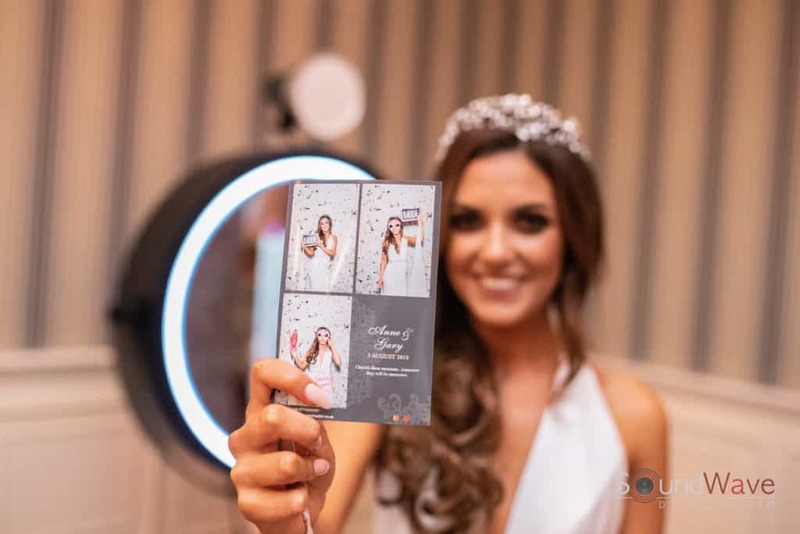 Combine the bespoke photo booth with the right uplighting design for your reception and you can make sure that people remember your wedding with just the feel and atmosphere that you envisioned. Photos booths have changed so much recently—- and that technology can totally transform your wedding experience. By linking our photos booths directly to social media, your guests can be sharing and hashtagging in no time. This not only gets everyone involved in the fun, it also gives you an instant, crowdsourced photo album — so you can see all the fun your guests were having while you were off meeting and greeting. You don’t have to miss a second. 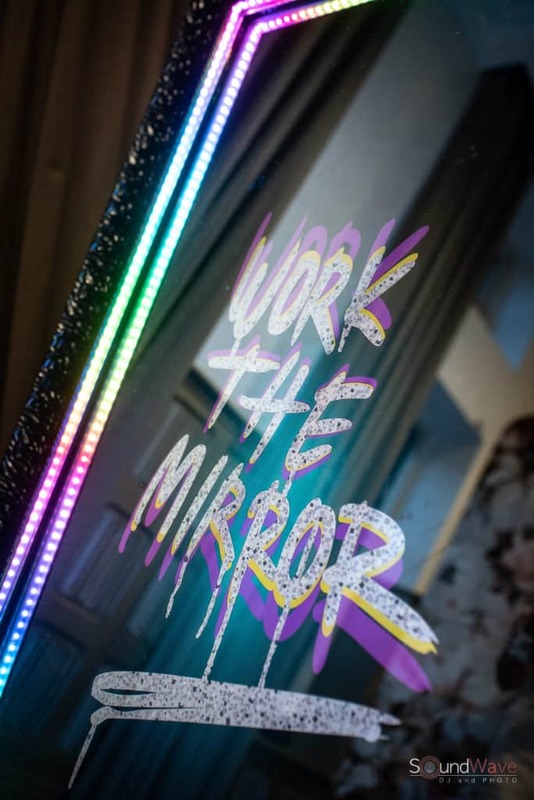 The latest selfie booths can let your guests add a personal message, doodle, or just go wild and really leave their mark on the experience. Photo booths have always been great fun at a wedding, but they’ve evolved to become a total experience hub. From entertaining your guests on the day to giving them something to remember the celebration, the latest photo booths, and selfie stations can help you tie everything together seamlessly. Interested? If you’re Buffalo, NY or Atlanta, GA based, feel free to check out our video below and contact us to see how we can help you elevate your wedding experience today! « Wedding DJ or band for my Western New York Wedding?